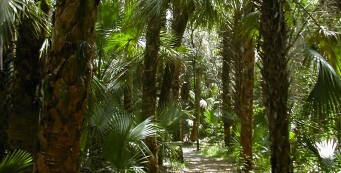 Southeast Florida | Florida Hikes! Although the Atlantic coast is distinctly urban, Southeast Florida has many places to play outdoors. Along the sweep of the Atlantic coastline, many miles are protected by public parks and beaches. 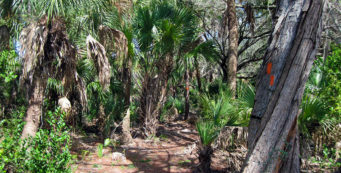 Palm Beach County has an extensive natural lands program and featured a wild swath of often-watery outdoors, the Ocean-to-Lake Greenway. While the Florida Keys aren’t known for their hiking or beaches, it’s a paddler’s prime destination, and home to the scenic Florida Keys Overseas Heritage Trail for cyclists. 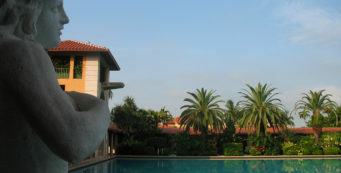 Boca Raton- Located halfway between West Palm Beach and Fort Lauderdale, Boca Raton provides a surprising number of natural areas to explore, from tropical forests to scrub and mangrove forests. 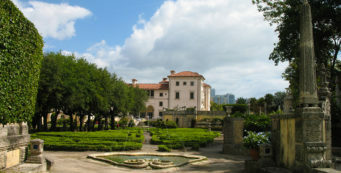 Coral Gables- The birthplace of Florida's early conservation movements, Coral Gables is both tropical jungle and vibrant city, home to numerous tropical gardens and remnants of the original Miami Hammock. 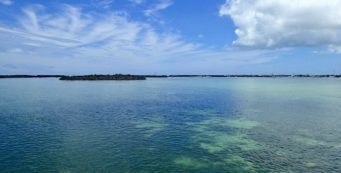 Florida Keys- The hikes, paddles, and bike rides you'll find in the Florida Keys introduce you to the most tropical and unusual habitats within the United States. 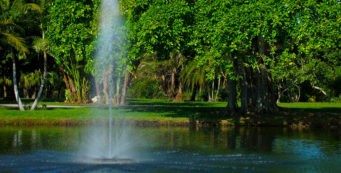 Fort Lauderdale- Hiking, biking, and paddling around Fort Lauderdale, including Miramar, Pembroke Pines, Deerfield Beach, Hollywood, Dania, Coral Springs, Sunrise, and other urban communities in the region. Fort Pierce- The heart of the Treasure Coast, Fort Pierce is flanked by a number of state parks and natural lands along the Indian River Lagoon and Atlantic Coastal Ridge. Hobe Sound- Hobe Sound is the southernmost town along US 1 in Martin County, with natural lands and parks along the Intracoastal Waterway, Atlantic Coastal Ridge, and the Atlantic Ocean. 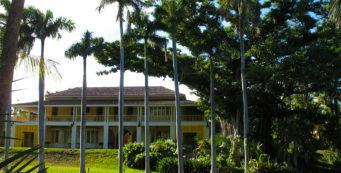 Homestead- Home to southeast Florida's highest concentration of farms and nurseries, Homestead is the gateway to two National Parks, Biscayne and Everglades. 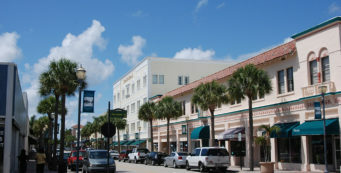 Jupiter- Jupiter is the northernmost outpost of Palm Beach County, which means easy access to natural lands along the Intracoastal Waterway, Atlantic Coastal Ridge, and the North Everglades Natural Area. Key Biscayne- The offshore playground of Miami Beach, Key Biscayne has something Miami Beach doesn't: an abundance of public land for the size of the island. Miami- As the eastern gateway to Everglades National Park and Big Cypress National Preserve, Miami has a full spectrum of recreation from urban walks to paddling trips. 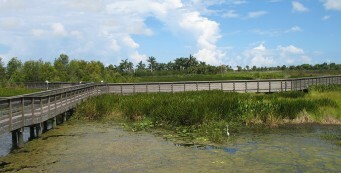 Ocean to Lake Greenway- Also known as the Northeast Everglades Natural Area, the Ocean to Lake Greenway spans from Hobe Sound National Wildlife Refuge in Hobe Sound across portions of Martin and Palm Beach Counties to Lake Okeechobee. 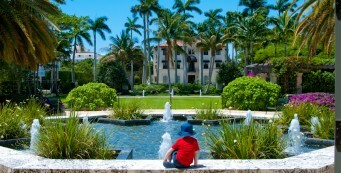 Palm Beach- Established as a Gilded Age playground by the sea thanks to Henry Flagler, Palm Beach has enjoyed a certain measure of exclusivity for the past century. However, this tropical enclave offers some pleasant niches where you can immerse yourself in nature. Sebastian- On the Indian River Lagoon, Sebastian is home to the nation's first National Wildlife Refuge, Pelican Island, and an array of natural lands to paddle and wander. 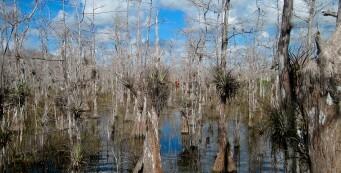 South Florida- Despite its dense coastal populations, South Florida offers wilderness on a grand scale. It's a region where the prairies meet the tropics, and where outdoor recreation can be found around every corner. Stuart- Stuart is the southern anchor of the Treasure Coast, surrounded by natural lands and refuges that offer plenty of opportunities for outdoor recreation, both near communities and off the beaten path. 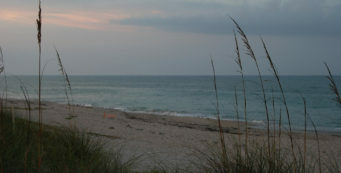 Vero Beach- Around Vero Beach, there are many more recreational opportunities on the coastal strands than inland. 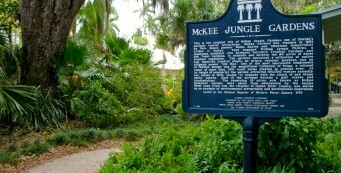 The barrier islands immerse you in tropical habitats.